Costco has already turned its back on genetically modified salmon and now the major warehouse club is helping farmers buy land and equipment to grow organics in order to meet insatiable consumer appetite for healthier food. 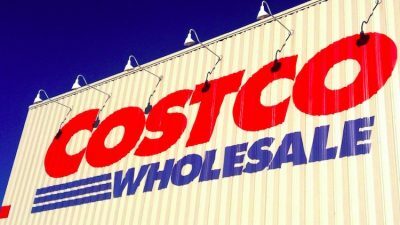 According to The Seattle Times, “So far, Costco is working with just one partner, loaning money to help San Diego-based Andrew and Williamson Fresh Produce buy equipment and 1,200 acres of land in the Mexican state of Baja California.” Costco is said to be expanding similar organic food initiatives with companies that operate in Chile and Mexico. With its new deal with Andrew and Williamson Fresh Produce, Costco has bought first rights on everything that meets its requirements coming off the land. The idea behind these new investments is to keep up with the country’s fastest-growing food category. Sales from organic farms have boomed in recent years, with consumer spending on organics up 72 percent since 2008, according to the U.S. Department of Agriculture’s 2014 Organic Survey. “We cannot get enough organics to stay in business day in and day out,” Costco CEO Craig Jelinek said at a recent shareholder meeting. Costco, the world’s second largest retailer with 487 stores, sold roughly $4 billion in organic food in 2015. This makes it the top organic grocer in the country and possibly surpassing Whole Foods’s sales, The Seattle Times reported last year. However, as demand for organic food continues to soar, the supply of organic crops to meet that demand is falling short. The U.S. is currently looking into other avenues, including Cuba, to meet demand. Other food companies besides Costco have made similar moves. Nature’s Path and Pacific Foods have their own organic farms. Chipotle Mexican Grill is also starting to fund organic farm operations. Two years ago, Whole Foods announced a $25 million boost to its popular Local Producer Loan Program to ensure that the harvests from local growers, producers and artisans make it to their shelves. Whole Foods’ funding supports projects in biodynamic farming, non-GMO animal feed, pollinator health and sustainable packaging. Still, helping farmers transition to organic is highly unusual for the industry since it’s an expensive and time-consuming process. As The Seattle Times noted, under guidelines set by the U.S. Department of Agriculture, it takes three years for conventional farmers to make the switch as it takes that much time for pesticides and other nonorganic substances to wash away from the land. Not only that, farmers also need new equipment and have to adopt new practices to grow organic food. With the healthy food movement only growing larger, it only makes good business sense for more companies to switch to sustainable practices.